These conversation starter ideas have been designed to encourage children to think and talk about feelings. They are gentle prompts to think about how they feel, and consider how others feel too. 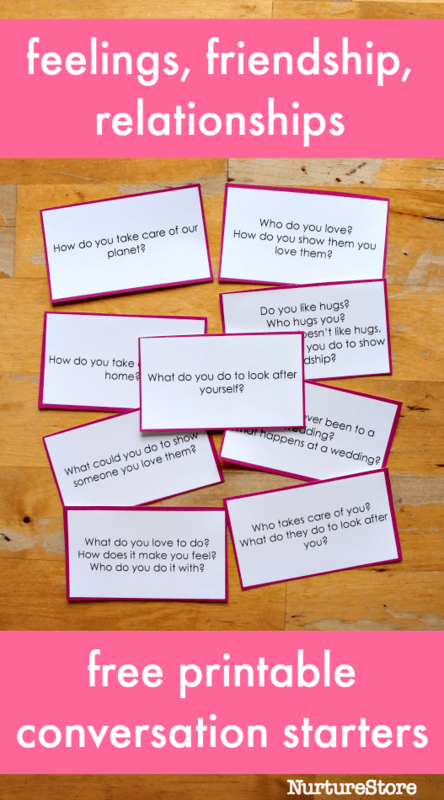 The printable question cards include prompts to talk about emotions, friendship, marriage, and families. 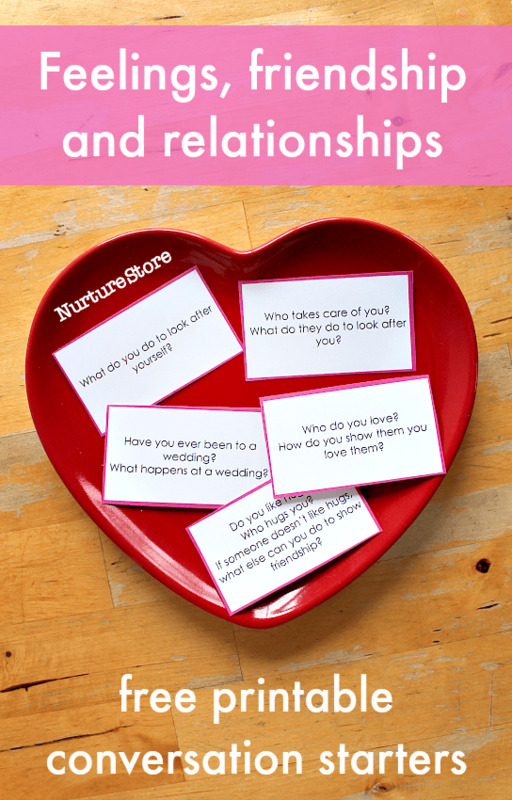 These conversation starters encourage children to think about their feelings, the feelings of others, respect, healthy boundaries, and compassion. 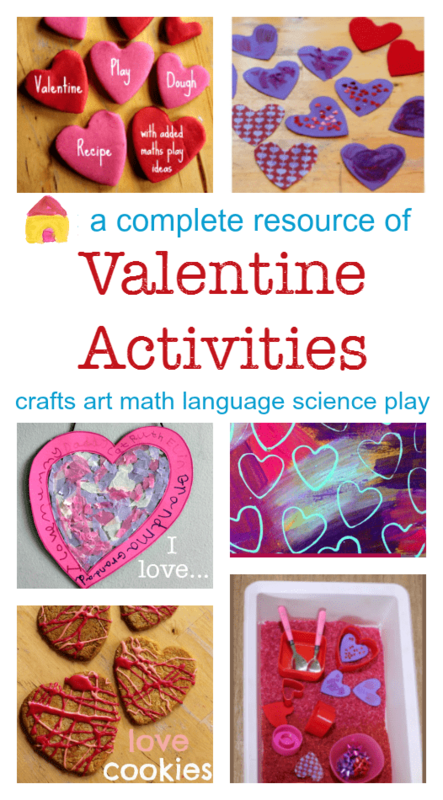 They are useful to use as part of your Valentine’s Day activities, to connect the celebration to things that are relevant to your children. You can use them as part of your regular life, to connect and chat, or as part of guided group discussions and circle time. The conversation starters also offer the opportunity to develop speech and language, as children give their opinions and listen to those of others. 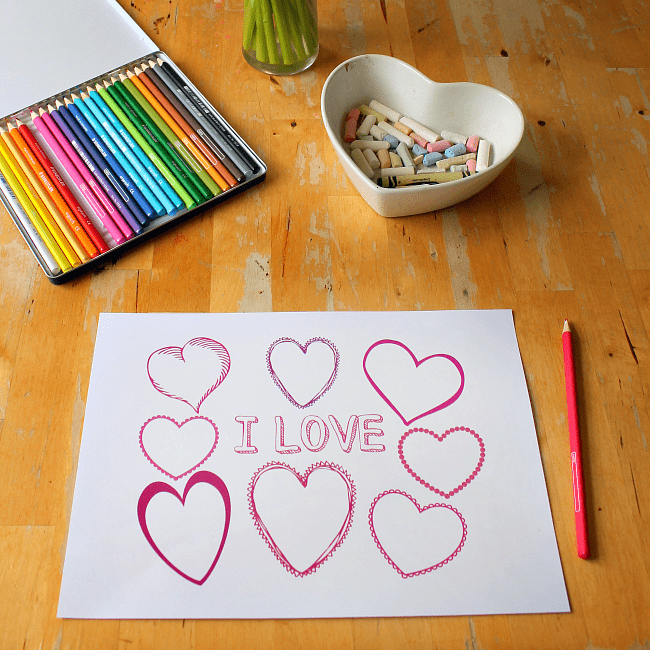 :: What do you love to do? How does it make you feel? :: Who takes care of you? What do they do to look after you? :: Do you like hugs? 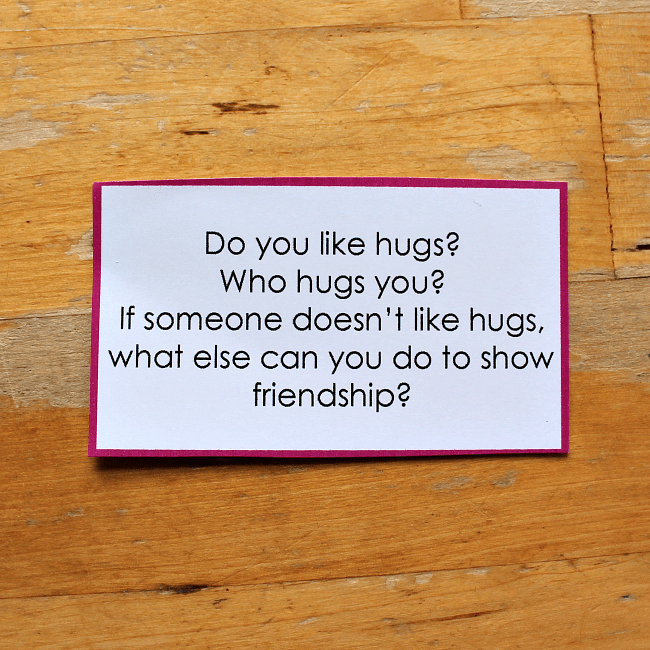 If someone doesn’t like hugs, what else can you do to show friendship? :: How do you take care of your home? How do you take care of our planet? :: Why do people get married? :: How do people help make a happy family? :: What’s a good way to ask someone to stop doing something you don’t like? :: How do you feel right now? Print off the conversation starter cards and cut them out. Gather them together in a basket or envelope. Set the tone for an open and gentle conversation. Everyone joining in can give their answers, children and adults alike. Remember there are no wrong answers about how we feel. Listen carefully and respectfully to the answers your children give: they are opening their heart and trusting you with how they feel. You might like to focus on one card at a time, or pick a few. It’s good to get different answers to one question from your group, as it gives everyone the opportunity to hear a different perspective and perhaps get some new ideas. Use the cards often, to build up your child’s emotional intelligence and to develop your connection as your children grow. You might like to use these cards at mealtimes, at snack time, at circle times, in the car, before bedtime, or to go along with a particular book you are reading. P.S. Print my Valentine gratitude journal page too! It’s a great way to talk about gratitude and our blessings.